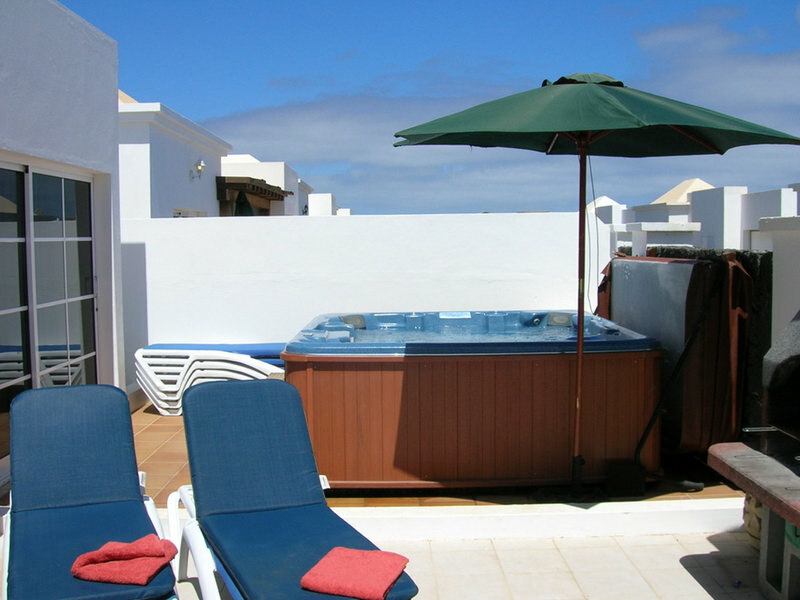 Villa Ashley is a detached private villa with fully heated pool and hot tub option. It also has a shaded patio and pergola area. Free towels, high chair, cot and Wifi. 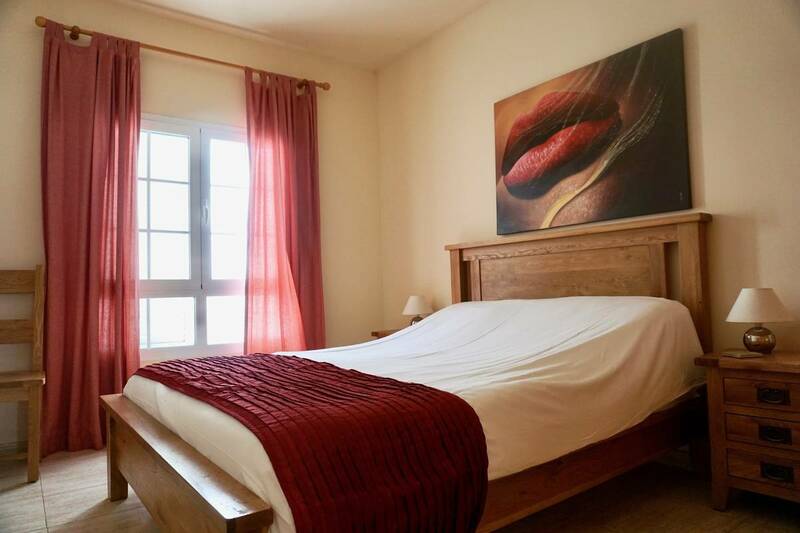 Three bedrooms: one with a king size bed; two with twin beds (a cot is available upon request). Two bathrooms, 1st with shower over bath, 2nd is a full wet room. 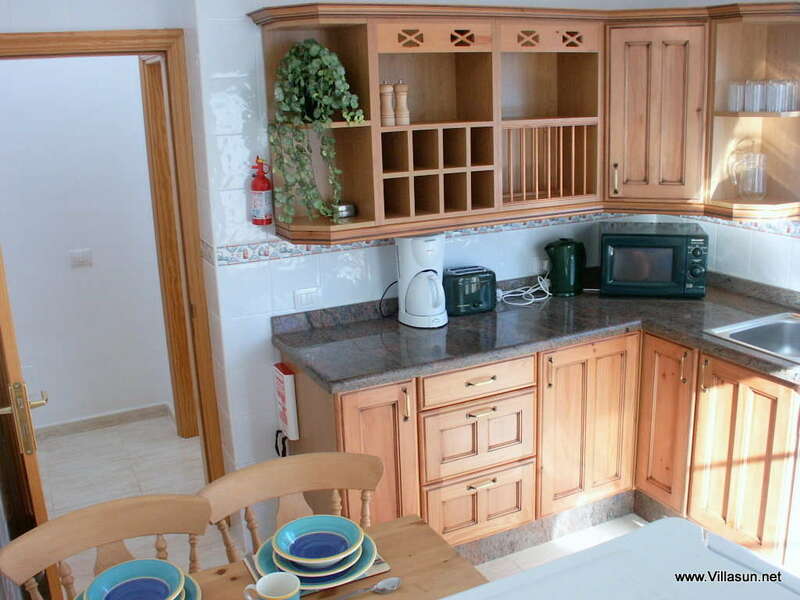 Fully-fitted kitchen, complete with dishwasher and washing machine. Leather sofas in the lounge. TV, DVD and CD midi included. 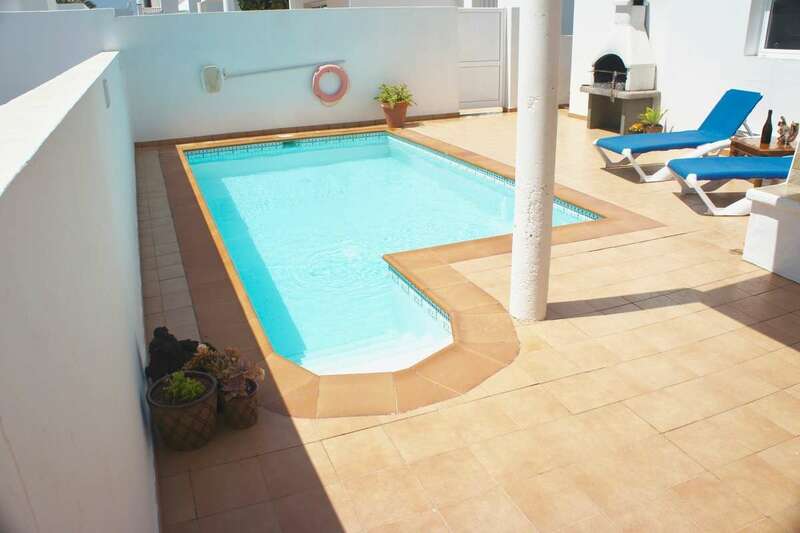 Fully-heated private pool on the terrace. BBQ, patio furniture and sun loungers. Arrival day for those staying at both Villa Ashley and Villa Laura is normally Thursday, with a mid-stay towel change and maid service. 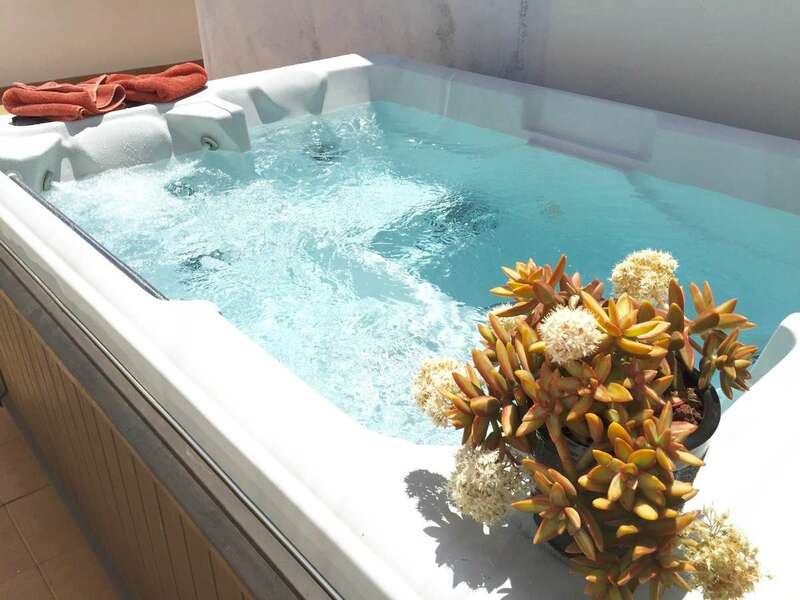 The pool and hot tub are fully cleaned and tested during your stay. Mid-stay services can sometimes change, all depending on the length of your stay with us. 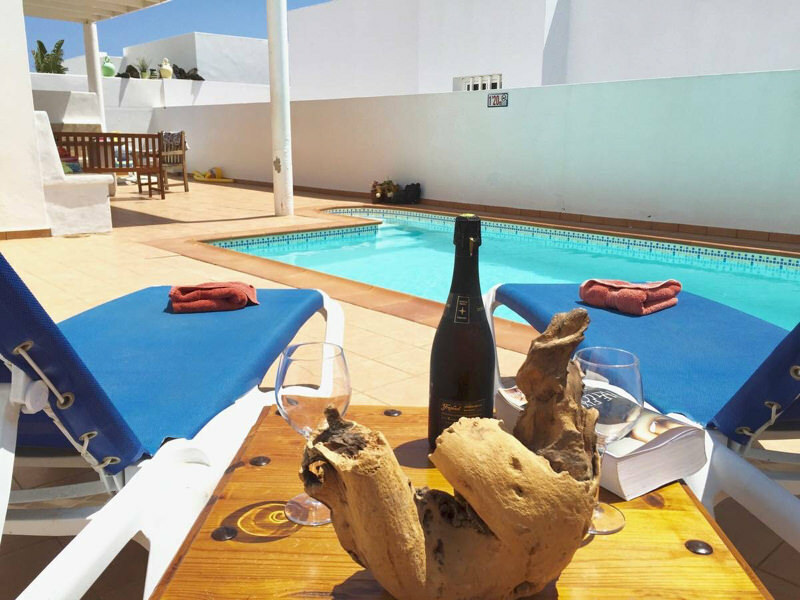 Fully Heated Pool with "Roman" End Steps with Thermal Blanket Dual Pool heating type both Electric and Solar Shaded Pergola Area 6X Sun beds Beach Towels Patio BBQ & Tools Garden seating with table for outside dinning (Under pergola). 1st Bathroom with Shower over Bath, 2nd Bathroom with Shower Cubicle Villa Towels, Bath and Hand Hair Dryer. Hi Elaine and Paul Thanks very much for a lovely time in Costa Teguise. 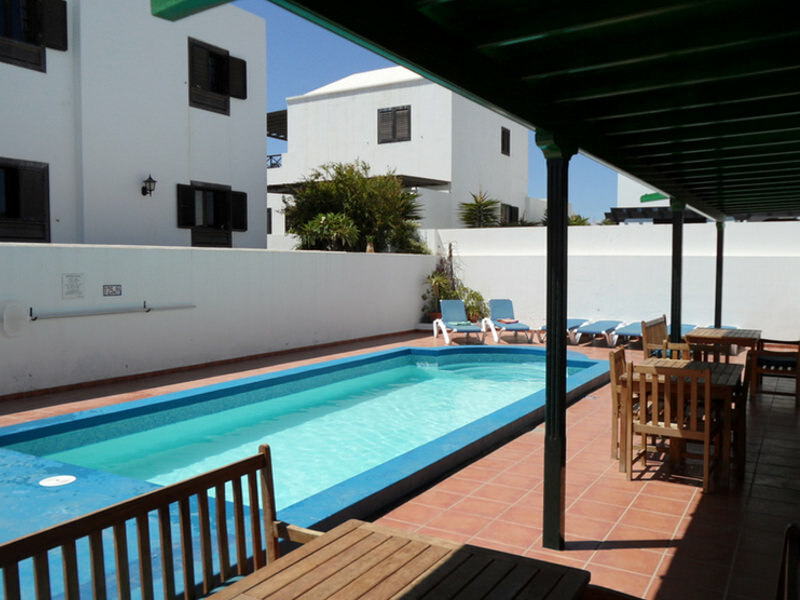 We stayed at Villa Ashley for two weeks in November and were very pleased with everything. 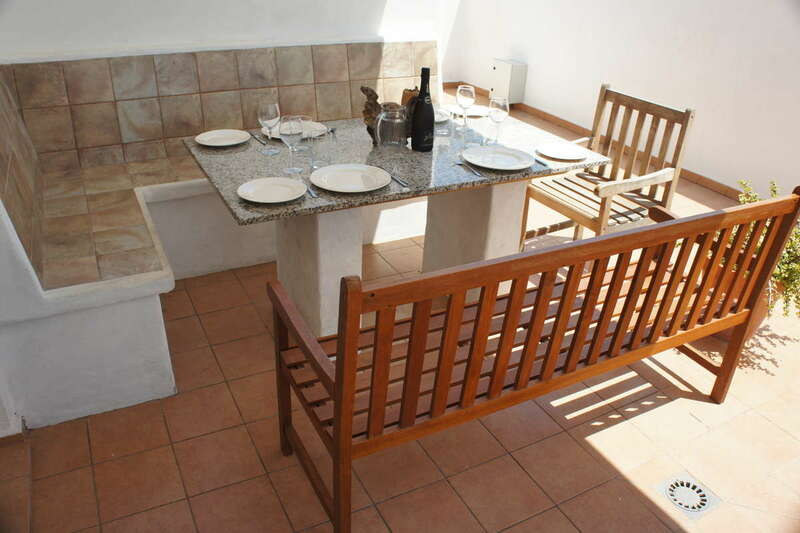 The cleanliness of the villa was excellent and the cooking equipment also. The staff were really helpful at all times and on hand if one should need them. All in all a very good holiday and I can recommend Villasun to anyone. Thanks again we will return asap. Two weeks of bliss in Villa Ashley! 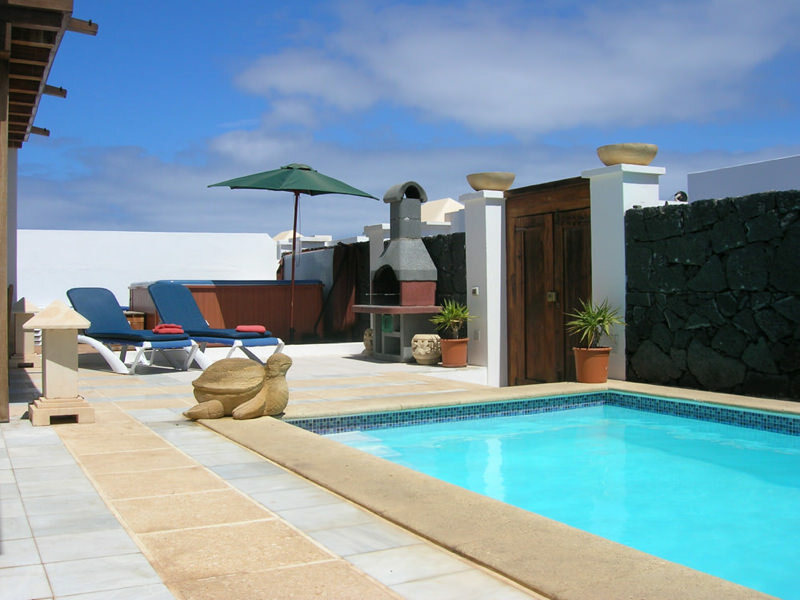 We were lucky enough to spend two weeks of bliss in the Villa Ashley in Aug/Sep this year. The accommodation and location far exceeded our expectations, it was superb. 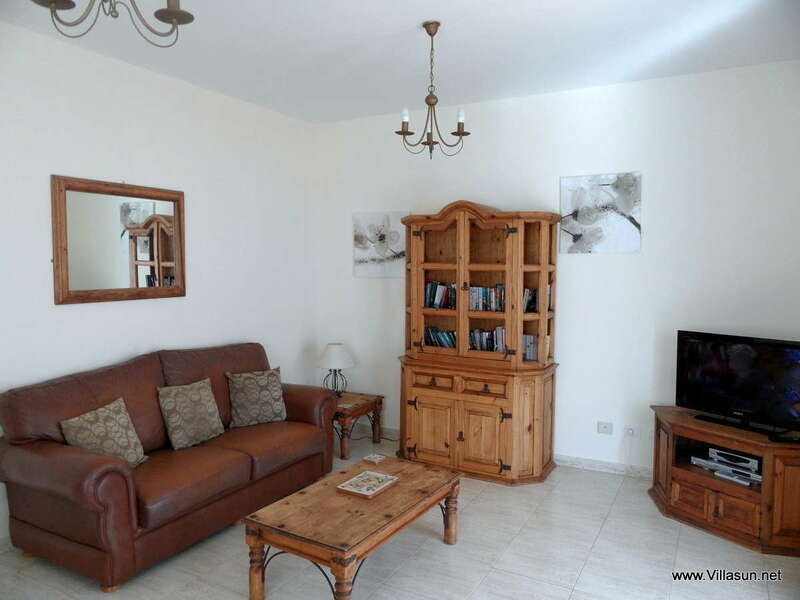 The Villa was very clean, the support staff very helpful, and there was every thing you needed to have a brilliantly relaxing holiday, even loads of good books to read whilst chilling by the pool. We were so impressed we booked for next year within a week of arriving back home. Best holiday ever. La Cala Azul was fabulous for our family of 5. The children loved the pool and the hot tub (which we used each evening). The facilities are superb. The fact that we had a full kitchen and a washing machine made a huge difference to our holiday. We were very comfortable. Your management team were very helpful. Adrian was lovely. He provided us with inflatables, clear instructions and even transported our cases to the apartment that we needed to rent on the final transfer day. He’s a star. I would (and already have) recommend Villasun’s villas to anybody. 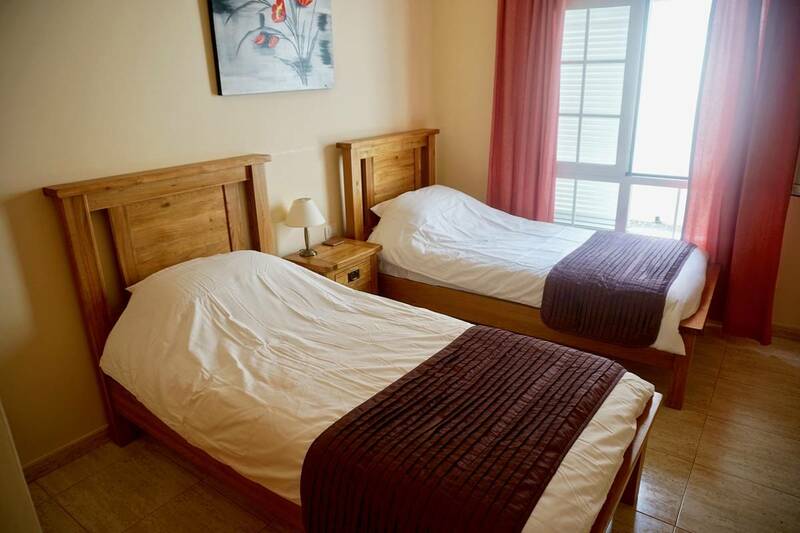 This was the fourth visit to Lanzarote, each other time being spent in apartments for the same money. Having had the villa for two weeks my wife and I have vowed never to have apartments again. In fact, we have booked a villa on the Costa Blanca next year already based entirely on the great experience we have had this year. Thanks to Paul, Elaine, Adrian and the team for helping to make this the best family holiday we have had. Ian and Nikki Emery, Bracknell, Berkshire.